Home / Unlabelled / Lolong the Crocodile: Lolong-er or Lolong-est? 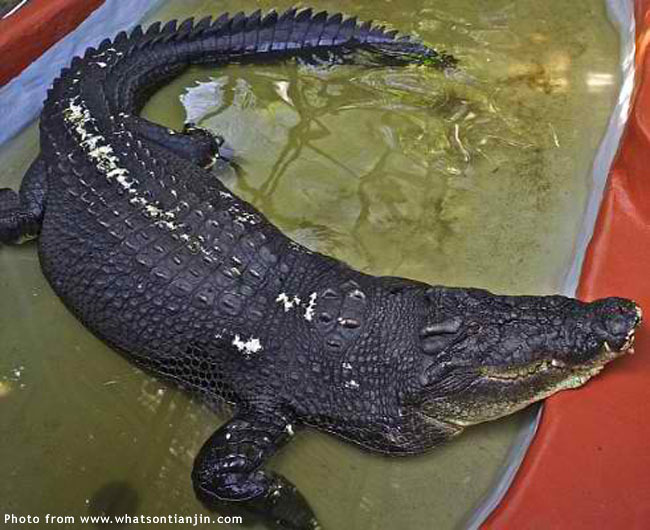 Lolong the Crocodile: Lolong-er or Lolong-est? 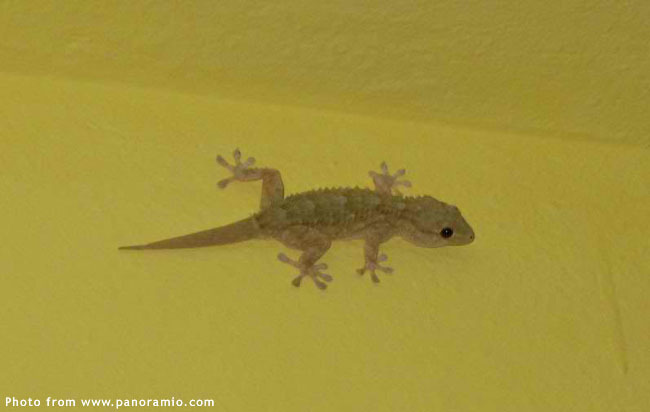 It is amazing how one oversized lizard can capture the whole world’s imagination. Do we not all jump and shriek unprintable words on the unfortunate occasion when one innocuous house lizard loses its grip on the ceiling and falls onto our bare neck or shoulder? Who, then, wants to get up close and personal with a 20-foot lizard? Many, apparently. People have come from far and wide to get even just a glimpse of the sonofabeast. So many of them, as a matter of fact, that authorities have deemed it necessary to temporarily halt public viewing because they fear for the lizard’s welfare. Of course, at that size, it is stretching the limits of metaphor to keep calling that animal a lizard. Saltwater crocodile is the more appropriate term; scientific name crocodylus porosus. It is a tropical specie that is known to inhabit swamps and marshes in Southeast Asia, Northern Australia and even the eastern coasts of India. This crocodile specie is known to grow to unbelievable sizes; and, because it can travel long distances by sea, it has been spotted in areas not really known to be its native habitat. 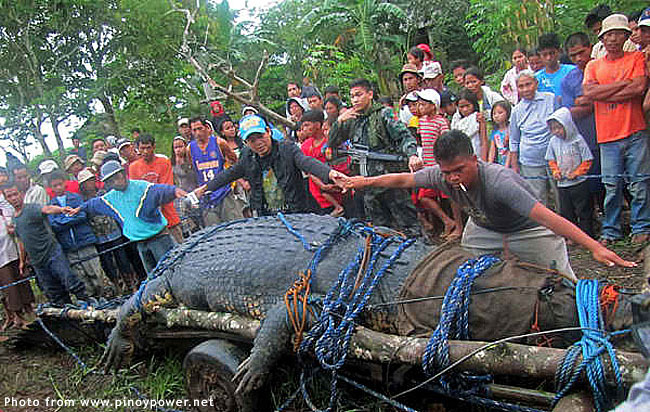 I was watching the television earlier this month when word first broke in a prime time news show of the capture of a remarkably large crocodile in the marshes of Agusan del Sur. True enough, video footage soon confirmed that it was – indeed – a monster. By this time, I believe everyone more or less knows how the capture came to be: some townsfolk went missing and were believed to have been attacked; a carabao was seen being feasted upon by this huge crocodile; and, because a croc that has attacked human beings will in most likelihood do so again, the offender was subsequently hunted down. Its eventual capture was, naturally, greeted by widespread relief among the townsfolk. That – or so I thought – was the end of it. I mean, it was a damned huge croc; but who really wanted to know? Everyone, as it turned out! 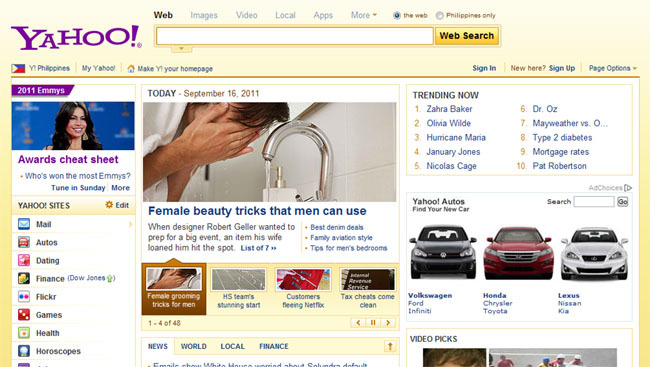 The next day, it was among the trending topics on Yahoo. Not Yahoo Philippines, mind; Yahoo global! It also trended globally on Twitter; and pretty soon, even National Geographic got into the act. A croc expert on National Geographic, as a matter of fact, was quoted on the magazine’s web site to have been sceptical about the captured Philippine crocodile’s alleged measurement. Duh! What can be so complicated about measuring a damned croc that those people at the capture site would get it wrong? 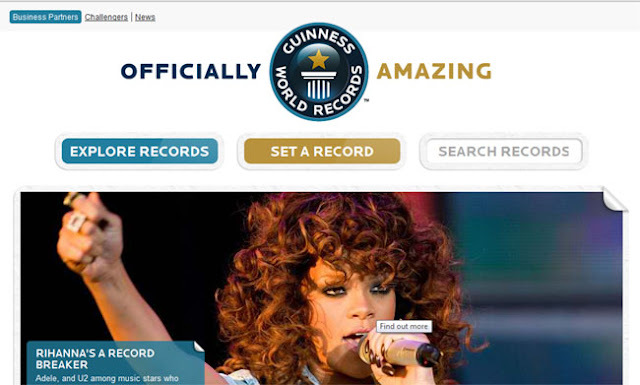 At any rate, a team from the Guinness Book of World Records is expected to arrive soon in Bunawan, Agusan del Sur to see – and measure – for themselves. Lolong: that is the name that the croc has been given, in honour of one of the gentlemen who was involved in the entrapment but who suddenly passed away. From snout to tail, the captors are now careful to point out, the captured Philippine croc measured 20.1 feet – not 21 feet as many media reports initially stated. It is still more than two feet longer than the current holder of the Guinness record for the longest crocodile in captivity – an Australian crocodile named Cassius Clay that was measured at 17.75 feet. I suspect most of us Pinoys do not really need Guinness to tell us what we all saw on the local news. And if, indeed, Guinness’ measurement falls short of what was originally announced, we can always claim that Lolong has shrunk. Trauma, one animal expert told a news crew. Depressed, a news reporter hypothesized. You would think, from all this conjecture, that the subject was a Mexican starlet of a telenovela. 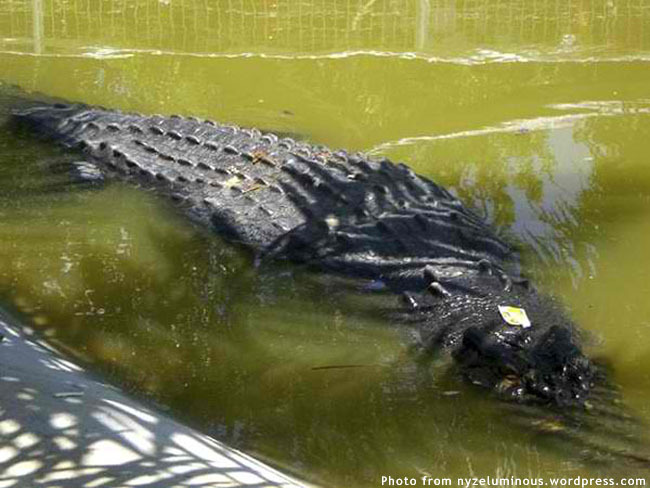 In fact, an animal rights group has gone public in saying that the croc should be returned to its natural habitat. I can understand what members of the group have been saying; and, indeed, human encroachment upon animal habitat is a global phenomenon and problem. Sa bahay kaya nila alpasan? It is one thing to critique the capture and incarceration of the croc from within the air-conditioned comforts of one’s office; and another thing to live in fear of a croc that is waiting to pounce from underneath the murky waters of the Agusan marsh. I do not mind those who are being pro-animals; but I do mind if they are being anti-people. At any rate, another hunt is on for what is believed to be Lolong’s mate – a croc which those who have seen her swear is even bigger than Lolong. 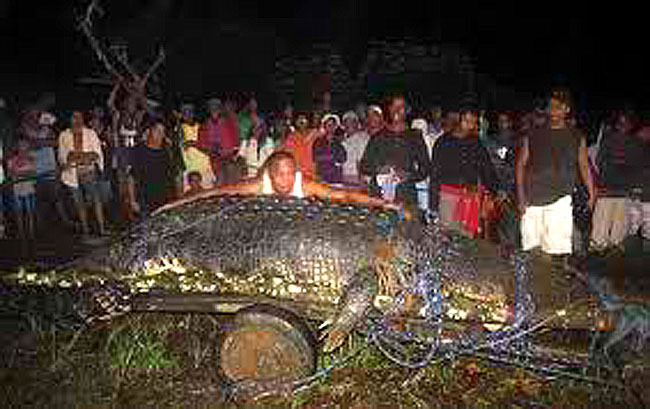 Maybe representatives from Guinness should just wait until the capture of this loose croc before making the trip. If those who have seen the loose croc are correct, then Lolong may not even be Lolong-est, after all.